How would you like to have an invincible dragon in your house? 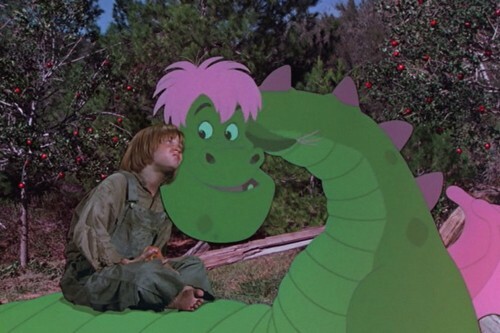 It really isnt as scary as it sounds, though Elliotts naivety often does causes trouble but at least he isnt as badass as Smaug.Petes Dragon is a 1977 liveaction/animated musical film from Walt Disney Production that narrates the story of a young orphan named Pete who enters the fishing town of Passamaquoddy with his only friend Elliott who protects Pete and occasionally lands him into trouble with the towns folk. Elliott can make himself invisible and is generally visible only to Pete.